So much has been written about how to be a successful project manager. 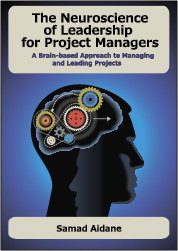 There are too many resources on how to be highly effective, productive, and efficient project manager. But there is no help for how to be a happy project manager. Let me ask you this: what is the point of professional success, if you can’t find joy and satisfaction in your career as a project manager? Are you truly successful when you feel miserable? It turns out that to be a happy project manager is actually a lot of hard work. It takes some serious skills. These skills are not taught in your typical project management or leadership training or in bestseller project management books. In this series of posts, I will share with you my perspective on the skills that I have found to be fundamental to being a happy project manager. As I am “work in progress”, I will share with you my own journey in striving to be a happy project manager and how I am developing these skills for myself and for the project managers that I coach. But I have to warn you. I am going to challenge some of your fundamental beliefs about project management. All I ask is that you stay with me and engage in the conversation. To start with, I want to tell you about one specific skill that I have come to believe is the most important skill that you must acquire early on in your career as project manager. This is the foundation of all other skills. I call it the “mother of all skills”. So what is this skill? Mindfulness is the capacity to be present in the moment and be aware of what is happening around you as it happens. It means being aware of your thoughts, emotions, and behavior and those of others as they happen. Mindfulness means you can direct your attention to meaningful clues in your environment. You are tuned to the emotional and social dynamics of your interactions and those of others in your project. Mindfulness is the foundation for communicating with grace, diplomacy, and tact. What does this have anything to do with being a happy project manager? It is said that 90% of a project manager’s time is spent on communication. The problem with this notion is that it is not very useful. We talk about communication as this big umbrella term that encompasses a bunch of things that we simply can’t describe. But we need to unpack “communication” as a concept so we can understand what we mean by it, especially in the context of high-stakes conversations in projects. First, when it comes to communication, there is only so much you can plan for. In fact, the type of communication that we can plan for is the least important type in the project. The communication that matters is the ad-hoc, reactive, high stakes conversations. These conversations require on-the-fly, agile thinking, improvisation, and experimentation. These are the conversations that make or break a project. Yet, developing skills for this type of communication is a real challenge and requires tremendous effort and deliberate practice to reach mastery. That’s because communication is a much more complex process involving many other sub-processes. High stakes communication requires a high degree of mindfulness to what is happening in real-time in our environment. You first have to have goals for your communication. Then you have to remember them, while you communicate with others, and at the same time you have to be willing to change them as new information emerges and the need to shift to new goals arises. You have to resist all the mental distractions that conspire to derail you from the goals you set out for your communication. It requires being aware of our tone, body language, and choice of words on the fly so as to make the right choices and course-corrections. This means processing up-to-date information in real-time about our and other’s thoughts, feelings, and behavior. It also means you have to pay attention to those you are communicating with and incorporate the queues you are getting from them. It requires being agile and taking dozens of factors into consideration and making decisions while the conversation is happening. You need to do all this while at the same time focusing on your short term goals from each communication with an eye on your long term goals of preserving relationships. So what does all of this have to do with being a happy project manager? When your communication is effective and you get the results you want, you feel on top of your game. You believe that you are capable of making things happen. You think you can help others make tough decisions and face the difficult challenges. You believe that you can get even the most uncooperative people to collaborate to solve complex problems. You see yourself as someone who can move things forward and make real progress possible. When you feel you are on top of your game you feel in control. You feel good about yourself and how you show up in the world. This gives you confidence and leads to achieving even more results. But you can’t communicate with grace, diplomacy, and tact, if you are not paying attention. Mindfulness enables you to think about your own thinking. This is called “metacognition”. Only through metacognition can you become aware of your automatic, unconscious habits and impulses (the need to be right for example). And only through this awareness can you begin to exercise self-control and emotional regulation. In project management, as in life, you must be “present” to win. In the next posts, I will talk about mindfulness and another set of skills critical to being a happy project manager: resilience, agility, and stamina. I would love to get your thoughts. What is resonating with you here and what is not? What has been your experience? Happiness comes from internal to oneself. If you have self-belief, that does not mean arrogance, and you are always looking forward, and you are always thinking on the positive side, and you have fun, then you will be happy. Communication comes from a common union of action. It is making sure you are on the same wavelength as the others, you have clarity of focus of where you are going, you are inspiring, you are a role model with the right non-verbal communication (which comes from self-belief), and you are passionate about what you do, it is from the heart, you come across committed, then all of this makes up communication. You, as a PM, will feel happy when you can see your staff performing in the way you need them to perform and to achieve the results. Philip, you are so right in saying that “Happiness comes from internal to oneself”. And that’s what makes it so challenging to achieve in the superstressed project life. That’s why I think being happy is a skill that we need to develop because everything around our projects conspire to depress us. Developing resilience, agility, and stamina are skills just as important as other project management or leadership skills. They just happen to be much more challenging to learn or teach. thank you for sharing your thoughts. concepts and talk about how to achieve self control and emotional regulation. In the emotional intelligence course I am talking it talks about achieving this leadership, including self awareness and control as a discountinuous process, uneven, through points of clarity. This makes the effort perhaps more difficult, but I am sure it accounts for much of the strength and clarity of vision in leaders. I agree with you Paola. I think self-awareness is so challenging given that most of our thoughts, emotions, and behaviors are habitual, unconscious and automatic. I often say that the first step to becoming a leader is going inward. I mean by that understanding how your internal mental processes work. Especially our “survival operating system” and its legacy code that is often incompatible with our modern life. Thank you for sharing. This is an excellent article. I liked the concept of mindfulness i.e. leaving at present and be alert. However, I think project manager can truly be happy if he is able to accomplish to progress. I think its mistake to assume that PM only communicated at various level and co-ordinate. Thinking & planning should take majority part of their time. Arindam, Thank you for taking the time to write. I am not sure I would use the word “mistake” in this context. It is too strong of a position to take on an topic that is not black and white. I am also not I understand what you mean when you say that thinking and planning should take the majority of PM time. Cheers. 1. I have joined this company 8 months back and Company is running big financial crisis. 2. There is no money to pay salaries (3 months salary pending) to all the employees. 3. Bank is likely to announce as NPA soon due to fund issue. Past one year this company is running with Out of Over Draft. 4. All the receivables are immersed with honour of LC’s and OD interest. 5. The mobilization advances are also immersed by OD. 6. Now there is no money to run the day to day process of the project and the Director is simply not answering any questions. 7. All the employees, suppliers, contractors particularly customers are dailly calling and mailing to me for the salaries, payments, dues and project status. The decision to look for another job must be a difficult one but it is the right one. The problems you are asked to handle (having to answer employees, suppliers, and contractors questions about salaries and payments) are not your problems to solve. The Director not taking responsibility for addressing these issues and not even answering questions is simply irresponsible. I know it must feel very painful to have to leave while employees, suppliers, and contractors are suffering. But remember that as a project manager you have no control over the company’s finances and it has never been your responsibility to deal with invoices and payments. You can only deal with the problems that are your responsibility and these are not. At this point, leaving is the right decision for your and your family.